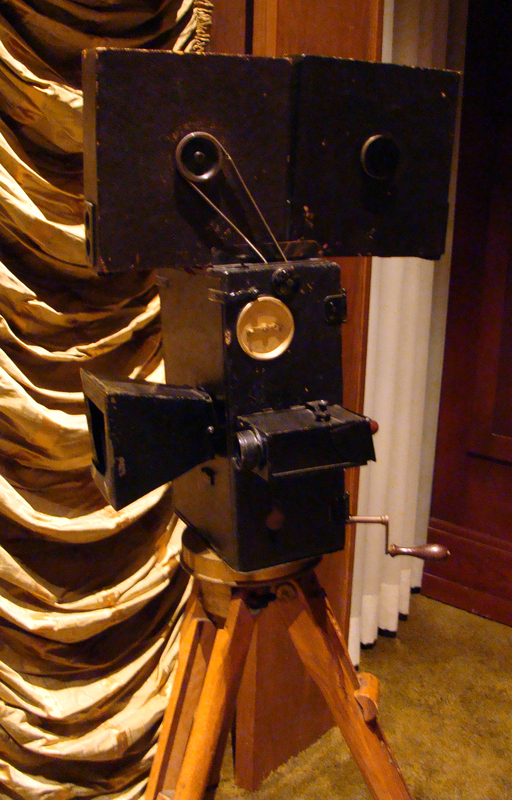 April 12, 2013 — A 1912 Pathé motion picture camera used by cinematographer Billy Bitzer, who shot the first film known to have been made in the Santa Clarita Valley (although not with this camera; it was 1910). 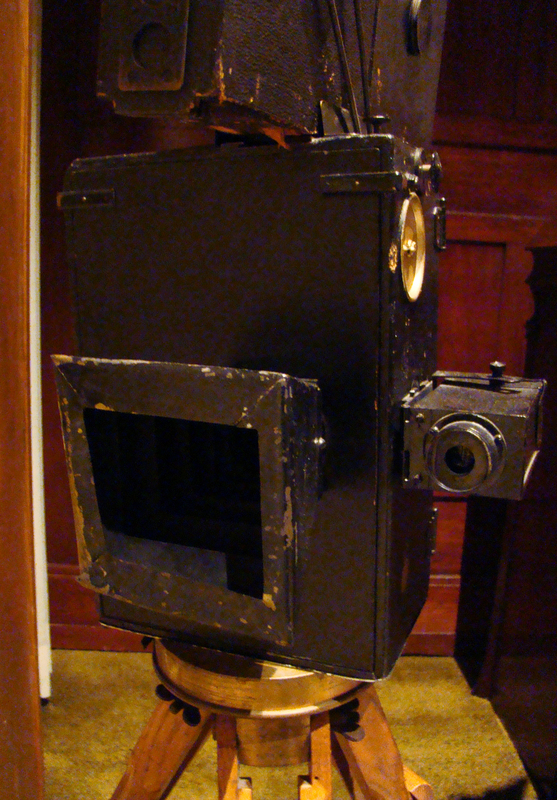 This camera donated in 1979 by Mr. and Mrs. J. Edward McKinley to the Nethercutt Collection at San Sylmar, where it's on display in the music room. 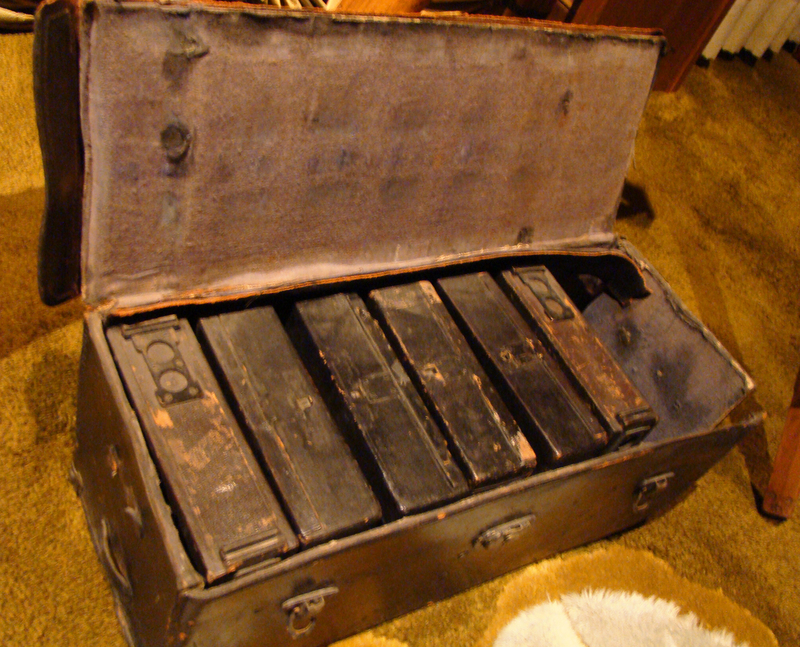 "This 1912 model Pathé camera guided by the gifted hands of G.W. (Billy) Bitzer (1872-1944) and directed by the inventive genius of David Wark Griffith (1875-1948) recorded for posterity, the historic and beautiful films — The Birth of a Nation (1914-15) and Intolerance (1916). 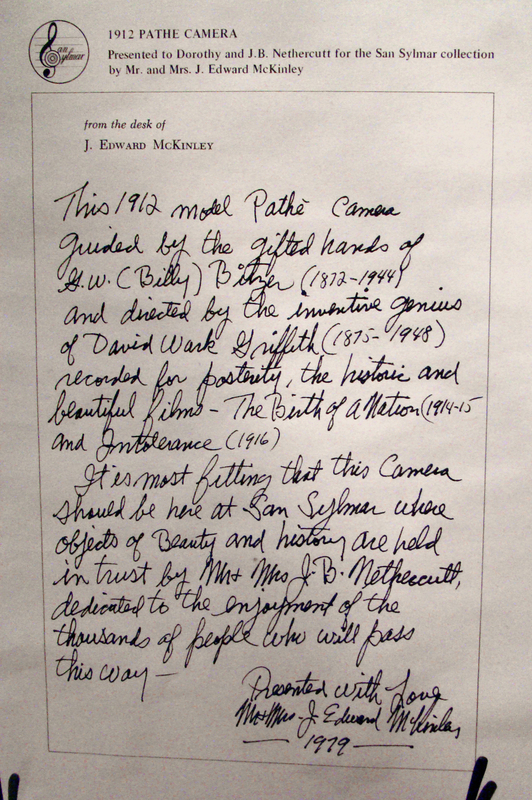 "It is most fitting that this camera should be here at San Sylmar where objects of beauty and history are held in trust by Mr. & Mrs. J.B. Nethercutt, dedicated to the enjoyment of the thousands of people who will pass this way. "Donated with love / Mr. & Mrs. J. Edward McKinley / 1979"
The foremost cinematographer of his time — namely, the beginning of film — Billy Bitzer is best remembered for having done the camera work on D.W. Griffith's "The Birth of a Nation" (1915) and "Intolerance" (1916). He was the cameraman who created the look of more than 1,000 films dating at least as far back as 1896, when he filmed President William McKinley's first inauguration, until the end of the 1910s, most of the time under Griffith's direction at Biograph. He continued to work a bit in the 1920s, less so after 1924 when the two had a falling out. 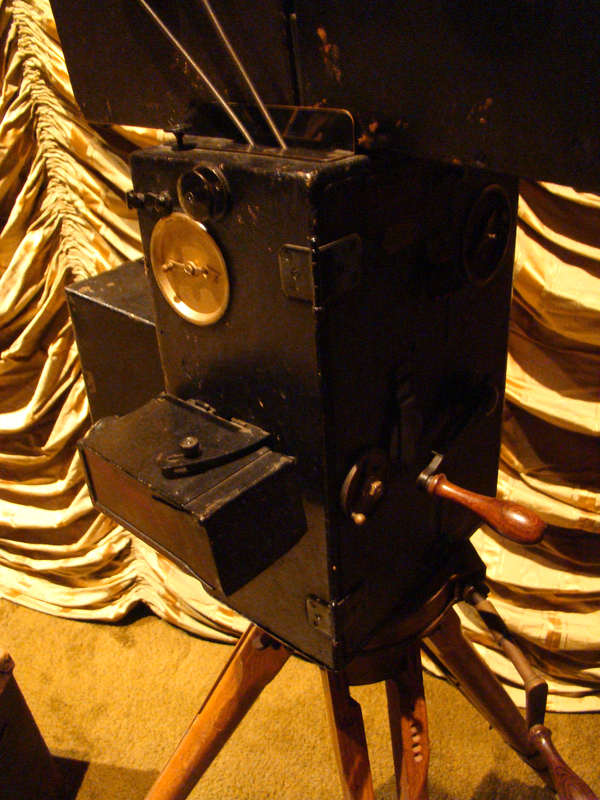 Of local interest, Bitzer was the cinematographer on Griffiths' "Ramona" (1910), starring Mary Pickford and shot at Rancho Camulos — the first film known to have been made in the Santa Clarita Valley — and he shot some Griffith films starring (later) Saugus rancher Harry Carey such as "The Sorrowful Shore" (1913). Born Johann Gottlob Wilhelm Bitzer on April 21, 1872, in Roxbury, Mass. 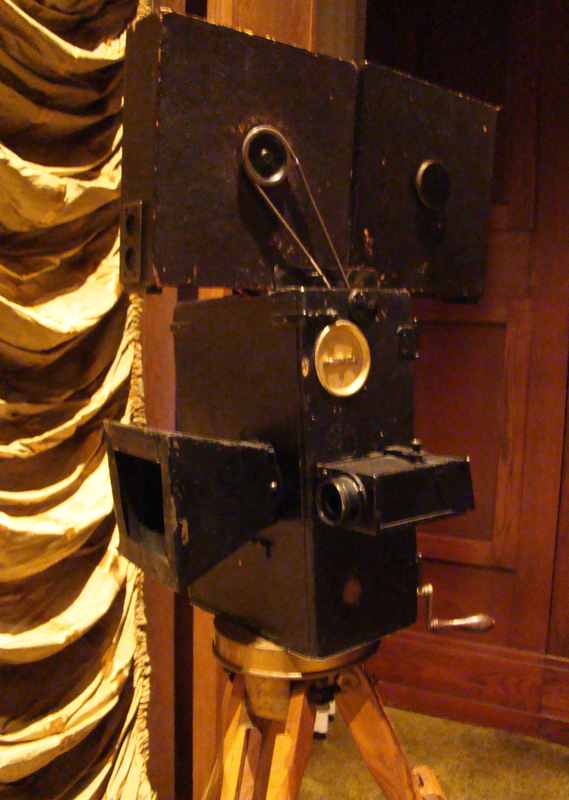 (not Germany, as often reported), Billy started his career in 1894 as an electrician and camera operator for the Magic Introduction Co., which merged into American Mutoscope Co., which became Biograph. Biograph moved its principal location work from New York to California in 1910, so not only was "Ramona" a first (probably) for the SCV; it was also one of the first films Griffith made and Bitzer shot after coming out West. Bitzer was an inventor, as were all "electricians" in the first days of film, but Bitzer was a standout. He's credited with inventing the idea of artificially lighting a set (you wouldn't think that had to be invented, but it did), and the close-up. He also was first with travelling shots, backlighting, soft focus and fading to black. He died in relative obscurity April 29, 1944, when he suffered a fatal heart attack. Digital images by Leon Worden.